Supplemental Security Income (SSI) benefits are vital to many Americans' survival. Both older and younger adults who are unable to work can utilize the program if they meet specific requirements. Naturally, there is a lot that people who may qualify for Social Security Administration (SSA) benefits need to understand; particular a life choice can impact your eligibility for assistance. You can do yourself a great service apprising yourself with all the information that the agency provides. Whether you are applying for SSI for the first time, or are receiving payments currently, you are required to report any changes in your life regarding financial or employment status. For instance, if you start receiving financial assistance from friends or family members, if you become a parent, or if someone moves into or out of your house. You can see a full list of all the changes in your life that the SSA wants to know, here. While younger Americans are eligible for SSI, the program is commonly utilized by older demographics. It is a fact that people, by and large, are living longer today than ever before, thanks to advancements in modern medicine. The extension in life expectancy means that people who have lost their spouse may consider remarrying. The details of late in life marriages can impact your benefits, and it is a change that you must report. A desire to not spend your golden years alone leads many people to re-tie the knot later in life. 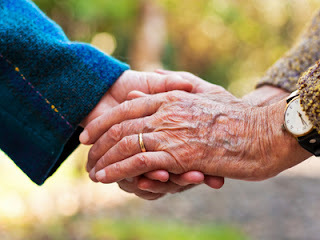 In fact, the Pew Research Center published a report in 2014 showing that sixty-seven percent of previously married people ages 55 to 64 had remarried and half of all adults 65 and older had remarried; up from 55 percent and 34 percent in 1960, respectively. Setting aside how older people’s children feel about one of their parents remarrying as it pertains to their inheritance, let's talk about how it can affect people’s benefits. Potential loss of government benefits like Medicaid and Supplemental Security Income. Loss of pensions or alimony. Income and estate tax increases. Taking on a new spouse’s debt. If you are considering marrying late in life, you have every right. Please keep in mind that the change could affect benefits that you rely on every month. Discussing your intentions with an attorney is strongly advised. If the SSA denied your application for Supplemental Security Income (SSI), The Driscoll Law Corporation can help. Attorney Stephanie Merritt Driscoll can help you or a loved one appeal the SSA’s decision and get the benefits you require. Please contact our office today. Americans work the better part of their lives with the hope that they can retire one day. Not just stop working, they wish to live comfortably for the rest of their days without having to fret over bills. Just because a person reaches retirement age, doesn’t mean they can expect to be entirely taken care of by Social Security benefit programs. Most people understand that any financial support that they receive from the Social Security Administration (SSA) isn’t much; such people realize that anything they can do to supplement SSA benefits could prove vital to ensuring a comfortable retirement. Between Social Security, Supplemental Security Income (SSI), and 401(k)s, hopefully, it will be enough for people; unfortunately, the data says otherwise with millions of retirees. The Kaiser Family Foundation conducted an analysis of available research on senior poverty rates. There are some 49.3 million seniors in the United States. The study indicates that half of all people on Medicare had incomes less than $26,200 in 2016. When looking at poverty data, it’s important to understand that there are two measures of poverty in America, the official poverty measure and the Supplemental Poverty Measure (SPM). The latter takes into consideration many variables, such as liabilities, including taxes, social welfare benefits, out-of-pocket medical spending, and housing costs. Relying on the official poverty measure to determine the poverty rates among seniors paints one picture, using the SPM paints an entirely different picture. The foundation found that 4.6 million (9.3%) seniors fell under the official poverty measure in 2016. 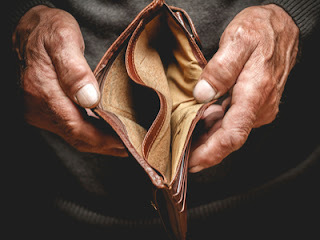 Using the SPM as a guide reveals that during the same years 7.1 million adults ages 65 and older lived in poverty, and almost 21 million seniors had incomes below 200% of poverty under the SPM. At least 15% of people ages 65 and older lived in poverty in CA in 2016, under the SPM. If the SSA didn’t approve your application for Supplemental Security Income (SSI) or Social Security Disability Insurance (SSDI), The Driscoll Law Corporation can help. Attorney Stephanie Merritt Driscoll can help you or a loved one appeal the SSA’s decision and get the benefits you require. Please contact our office today.